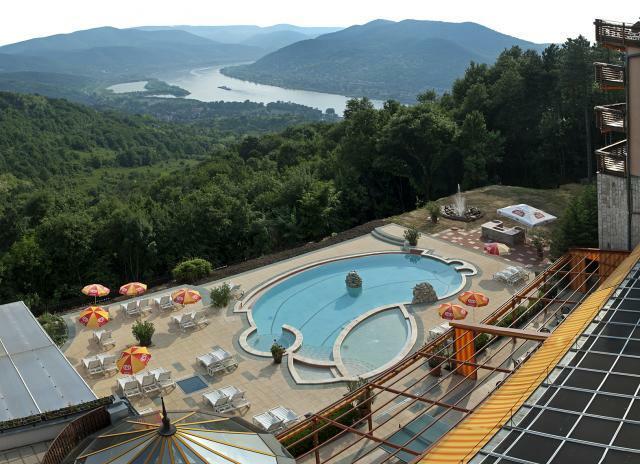 Hotel Silvanus is the most beautifully situated hotels in the Danube Bend with a calm, friendly surrounding, sitting atop the 352 metre (1,150 foot) high Fekete-hegy (Black Mountain), built next to King Mátyás'' Fellegvár (Citadel). The above rates include half-board (buffet breakfast and dinner), usage of swimming pool, wellness centre and fitness room, WIFI internet and VAT. Local tourist tax is not included (over the age of 18: 1,6 € / pers / night). 144 double rooms with wonderful panoramic view, minibar, television and wireless internet access serve to provide a completely relaxing experience. Our luxury suites provide exceptional, exclusive service. Complete your perfect day by relaxing in the saunas, salt chamber, aroma cabin, or steam cabin of our wellness centre. Our swimming pool, fun-bath and Jacuzzi, in addition to the beauty salon, pamper guests with relaxing and beautifying therapy sessions. Our everyday life is filled with very little exercise and tons of stress. Try the hotel squash court, and it''s guaranteed you will feel more fit. You do not need anything but white-soled tennis shoes and comfortable clothes. The equipment and even a partner will be provided by us upon request. The restaurant has a gorgeous panorama to the Danube Bend, a seasonally changing menu selection, and a selection of specialities from the Hungarian and international cuisine. The pub has bowling alleys, darts, table football and pool billiard tables for your enjoyment. Our conference halls are perfect for small or large events, trainings, cocktail parties, product demonstrations, receptions, exhibitions and company events. The rooms have natural light, air-conditioning, can be reconfigured to the perfect size and feature modern technical equipment. We provide a colourful and diverse programme for event visitors, whether that be a team-building exercise, training, nordic walking program, laser battle game, grill party, or a late-night cocktail show. Our staff is always available to help you organise and carry out such events.